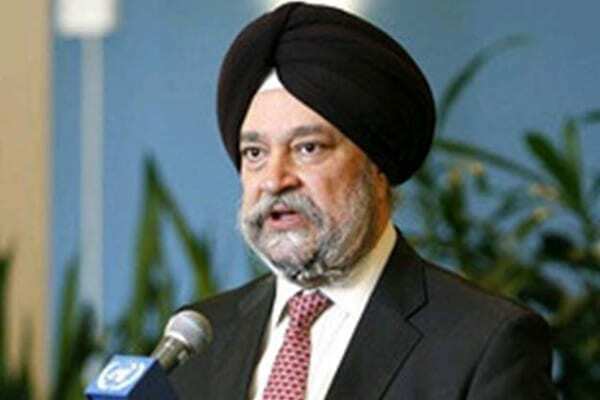 Hardeep S Puri, Minister of State for Housing & Urban Affairs has stated that Smart City Center project is a unique component of the Smart City Mission which is helping in improved and efficient delivery of public services. He was speaking while chairing the Consultative Committee meeting attached to the Ministry of Housing & Urban Affairs held in Surat recently. During the meeting presentations were made by the CEO/representatives of Smart Cities from Surat, Bhopal, Ahmedabad, Pune, Visakhapatnam, NDMC and Bhubaneshwar. The presentations showcased the progress made by projects in various sectors like Smart Class Rooms (Visakhapatnam and NDMC), Social Equity Centre (Bhubaneshwar), Mayor’s Express (Bhopal), Disaster resilience mechanism adopted in smart cities located in coastal areas etc. The members of Consultative Committee were also shown some of the projects in Surat Smart City like Bamroli Tertiary Treatment Plan, Althan Water Treatment Plant, Visible Improvement of area-Smart Road, Affordable Housing projects, Vertical Garden, BRTS (Gujarat Gas Circle), Surat Fort and SMAC Centre. Currently nine Integrated Control and Command Centres (ICCC) at Ahmedabad, Kakinada, Visakhapatnam, Nagpur, Pune, Rajkot, Surat, Vadodara and Bhopal have become operational. Puri said that it has been observed that the cities are becoming cleaner due to monitoring of cleaning work through CCTV cameras leading to reduction in instances of thrown garbage, littering, urination in public and nighttime burning of garbage while increase in traffic challans issuance indicates an orientation for better traffic discipline. He further informed that Intelligent Transit Management System (ITMS) has helped Ahmedabad to improve its operational efficiency by reducing its operational cost while improving the service levels. He further said that Smart City Centres are also providing technological support in ensuring better safety of women, environment sensitivity of people, faster response and better preparedness for emergencies and disasters. During the course of the meeting, the Minister further informed that around 1,350 projects worth Rs 50,000 crore have been tendered in the Smart City Mission, of which work has begun or has been completed in 950 projects costing Rs 30,675 crore. Another 400 projects costing about Rs 20,000 crore are at tendering stage. Other projects being implemented in the mission are Smart Roads which optimise the utilisation of space and are adding universal accessibility in 31 cities; 47 cities are implementing more than 120 MW of solar projects promoting cleaner energy. Development of public spaces like riverfront, water fronts, rejuvenation of city lakes and ponds are a priority of the mission, he said. “One innovative feature of the mission, is that our municipal bodies need to leverage their financial resources by municipal bonds, value capture finance, PPP, multi-lateral loans etc. It is noteworthy that 98 projects costing Rs 6,000 crore are under implementation with Public Private Partnership (PPP). PPP projects are getting good responses not only in the big cities but even in the smaller towns,” Puri said. Dwelling on the way forward, the Minister informed that making Urban Local Bodies (ULBs) financially self-sufficient is crucial for sustainable development. The Ministry of Housing and Urban Affairs has also started a campaign to do the credit rating of cities, which has been completed in 412 cities. He informed that 155 cities have ‘investment grade’.